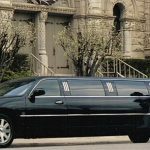 The best limo services in Connecticut offer you many benefits and make your journey comfortable .Top CT limo , you can go anywhere in the country and get same facilities. Your transportation needs by road is not limited to one city or town. Wherever you live in the country, you would like to travel any distance for different purposes. The single solution for all your road journeys will make it a reliable option for you every time you need transportation. 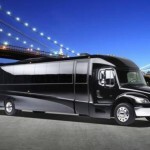 Whether it is a single ride, or multiple rides for any event, you can rely upon these services. If you are hosting any event, professional or social, then you may need to bring people from different parts of the country and for this you need transportation services. They bring you the best vehicles according to the purpose and facilitate transportation all over the country. You can invite any guest and they may fly to their preferred airport from all over world and Top CT limo gives you bookings for all places and you can arrange them quickly. This means if you are stuck anywhere in the country and not getting a vehicle to drive back, there is no need to call a cab or taxi. They may not provide you direct transportation or may not even be ready to come at a place where they do not operate. Instead, you can call the limo service company and get yourself a comfortable luxurious ride to come out of any emergency. With Connecticut limousine airport service, your booking gets easy at any hour of the day. Do not worry about the rush hours and book a limo rather than a taxi. It will keep away the stress. If you are hosting a business meeting, your guests may arrive at any airport and you may need luxurious limousine or other luxurious cars for maintaining the prestige according to the guest’s status and your class. For such guests you can get any kind of vehicle with the latest model and leave a great impression on the prestigious guest. 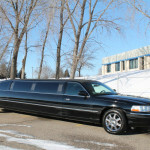 If you are not looking for limousine for every guest, you can get economical option of luxurious rides. Marketing personnel need to visit all over the country or the supervisors of companies visit all their outlets for inspection. For any such wide range of travelling needs, you can book Top CT limo services. Sometimes you need limousine services for travelling a long route but your task takes long hours at each lace. 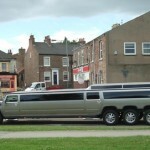 In such case, you may not want the limo to wait outside for hours increasing the bills unnecessarily. In such situation, TOP CT limo becomes the partner for your journey and avails you services wherever required. Established all over the country, you can leave the car when you reach destination and book another limo for the next ride. A wide presence means you get the assistance everywhere you go. This way you will get rid of struggling with local cab drivers and non-availability of cabs during rush hours.